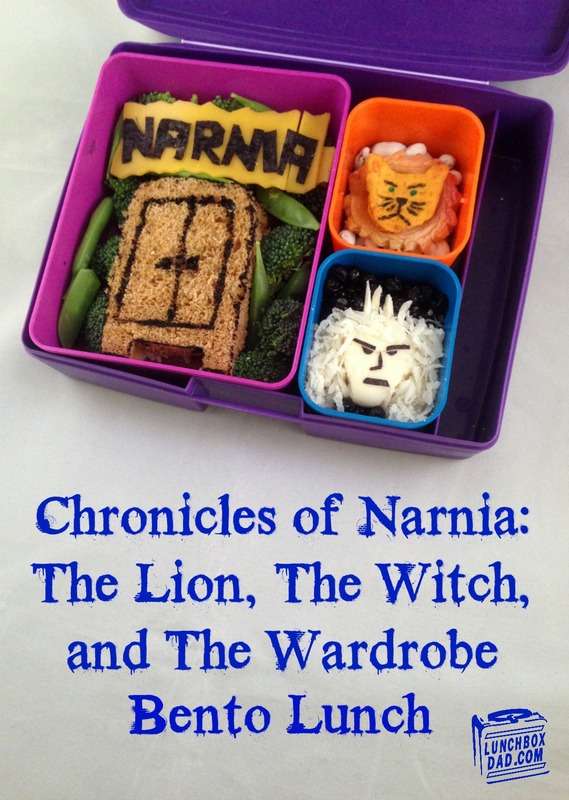 Year 2, Week 25: Chronicles of Narnia, The Lion, The Witch, and The Wardrobe Lunch. My daughter and I have been slowly reading our way through this series at night. My dad read it to me when I was her age and I was so excited to read it to her. 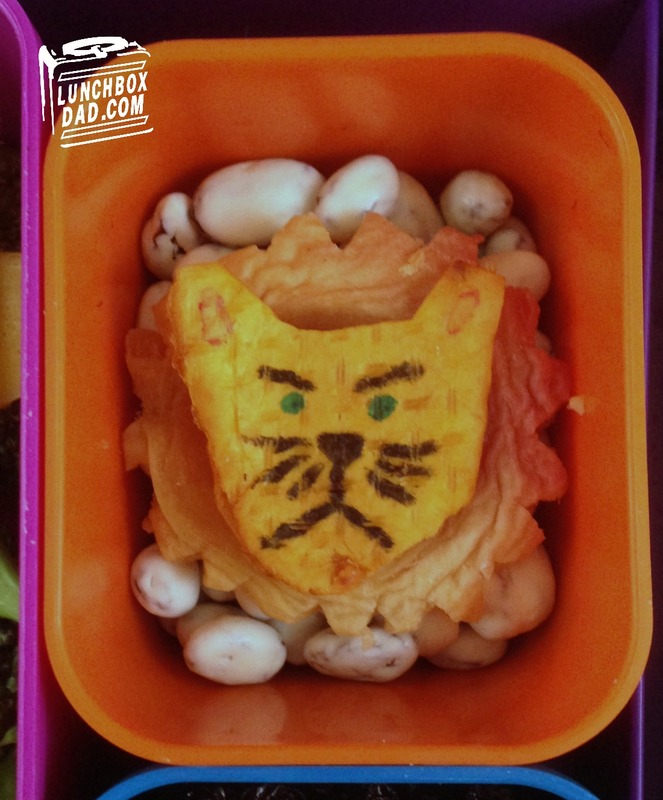 I thought it would be fun to make this story book bento for Read Across America month. If you have never read the Narnia series it is full of magic, battles, good vs. evil, and plenty of adventure. It is also teeming with symbolism. C.S. Lewis, the author, was great at this! This lunch has symbolism too. The veggies around the wardrobe are the forest that the kids in the story find when they enter Narnia. The tuna salad inside the sandwich looks a little like snow and reminds me of how, in Narnia, it is always winter, never Christmas! In this lunch you will also see the White Witch, Aslan the Lion, and The magical wardrobe which transports the kids to Narnia. So have some fun with your kids this month and read them a book. If they are old enough, read them the Chronicles of Narnia. You both will have a great time doing it and they will love spending the time with their dad. This is made in a Laptop Lunches lunchbox. 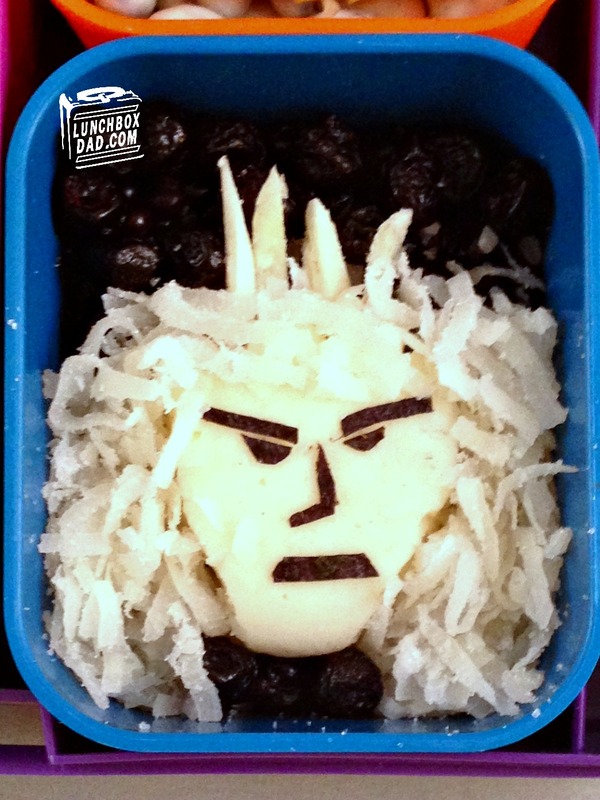 They are highlighting story book bentos all month, so make sure and check them out! Please remember to follow me on Twitter and Facebook. I have tons of fun on their sharing many things and talented people. You can find my social media buttons on to easily go there on the right. 1. Cut one slice of bread into a simple wardrobe shape. Then cut the other slice to fit behind it. Use black food coloring and a toothpick to paint the details. Fill with your child's favorite sandwich filling. 2. Place sandwich in main container. Surround with broccoli and snap peas. Cut slice of cheese to fit and place in container. Shape the letters "Narnia" out of Narnia. Arrange them on top of the cheese. 3. Cut mane out of dried peach circle as shown in picture. Cut dried mango in the shape of a lion or cat head. Use food coloring to draw facial features. 4. Drop yogurt covered raisins in a side dish. Place mane on top and then head on top of the mane. 5. Slice Babybel cheese into a slim head shape. Cut slivers of green mango and press them into top of head to form ice crown. Cut facial features out of nori and arrange on face. 6. Fill second side dish with dark colored fruit. I used blackberries and dried blueberries. Place White Witch head on top and surround it with coconut for her hair. 7. 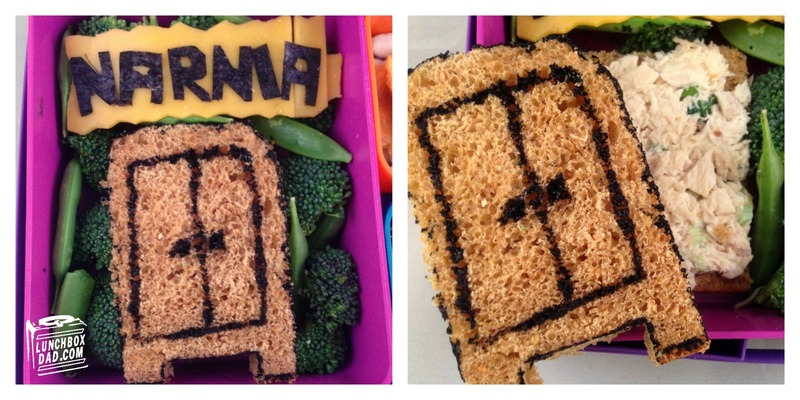 Watch your child enjoy their Narnia lunch! Kudos on a great lunch, sir. I thinki will check this book series out for my kids. Thanks! Yes you should check it out. Some of the language is a little older so I have to adjust the words a little as I go but it is a great read for my 7 year old.